Non-writers aren’t apt to realize that most of the marketing of a book falls on its author. Even the largest traditional publishers don’t do much marketing for their authors. Uh, except for the really big money makers. The 20% who’ll pay for the 80% of authors who don’t sell sufficiently well to justify helping. Unfortunate, but that’s the way it is. And there are no guaranteed marketing strategies. What works for one person or one book will fail miserably for another. If there was one sure-fire way to guarantee book sales, everyone would hop on it and everyone would have a bestselling book. Hmm. Life doesn’t work that way. I’ve mentioned–probably too often–that I’ve self-published Rosa No-Name, the prequel to Found in Translation. That means I don’t have a publisher to provide even a minimum amount of marketing. So, like every other author, I’ve been trying to do everything I can to promote Rosa. During the next month, Rosa is being featured on five different blog interviews or other promotions. And that’s good. At least additional people will learn about my book and perhaps even feel motivated to visit Amazon and check it out more closely. But there’s one tradition I both love and dread: doing a Facebook release party. 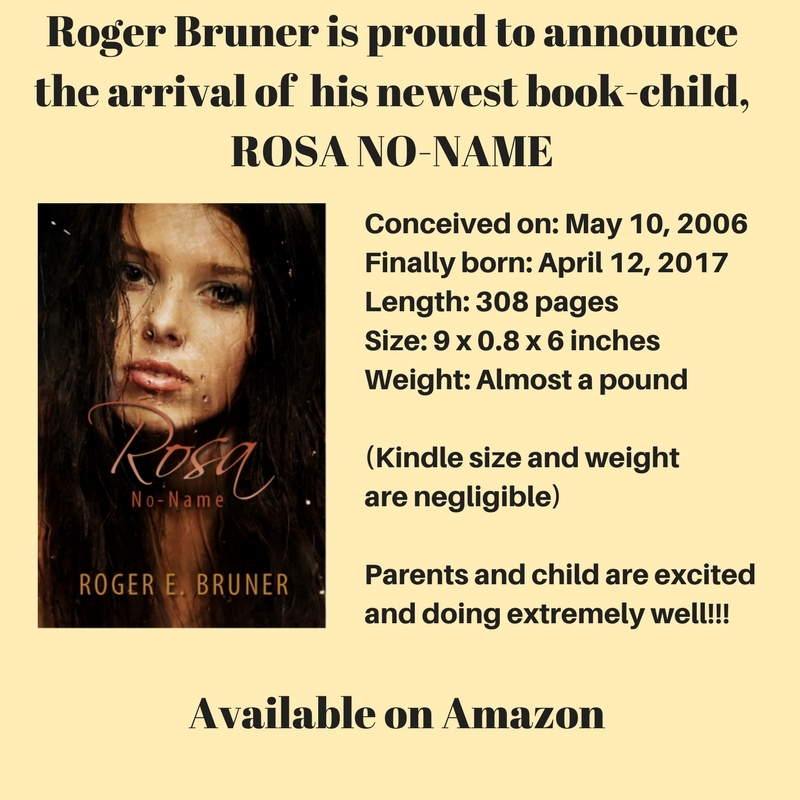 It’s easy enough to set up an event, in this case from my “Roger Bruner (author)” page. Since my wife, Kathleen, was helping, we both started inviting all of our Facebook friends. Between the two of us, we had a fairly large number. So I was about halfway through my friends list when Facebook told me I could only invite 500 people. There’s no limit on how many people can attend, but I could only specifically invite 500. Okay. We’d both shared the news about the party on our individual Facebook pages. Hopefully enough people would see it. We knew only a small number of our friends and family would actually attend. People forget. Or they have something more important come up. Or they’re non-readers. Or they aren’t good enough friends to be supportive. Maybe some of them have attended a Facebook release party before and know how confusing they can be. Planning a Facebook party sounds like it should be uber-simple. Buy a few items to offer as giveaways and hold drawings to, uh, give them away. Oh, but a release party should take longer than five minutes. The host/hostess needs to stay right in the middle of things, asking questions, making comments, and providing interesting information. Anything to keep the party in motion. At least a Facebook party doesn’t require real food. Kathleen and I did my release party this past Thursday night. Several days earlier, she spent no telling how long writing a suggested script for the evening and sent it to me. One of the many wonderful things about Kathleen is I can edit and add to her suggestions without offending her. She’d made a GREAT start, but I had additional ideas that took about two-and-a-half hours to put into a Word document. Then we hashed through it together at lunchtime, and I made a few additional changes. We were as ready as we were going to be. Who would come? Only God knew. Would we retain our sanity while trying to inspire and entertain party goers? Only God knew that, too. I’m happy to say we survived the party and enjoyed “talking” with our six attendees–four other authors and two “civilians.” We gave away four prizes. Fortunately, the non-authors both won something as well as two of the authors. Was it worth it? Hard to say. Will we do a party for the next book? Probably. Have you ever attended a Facebook event? What did you think of it? How about leaving a comment?